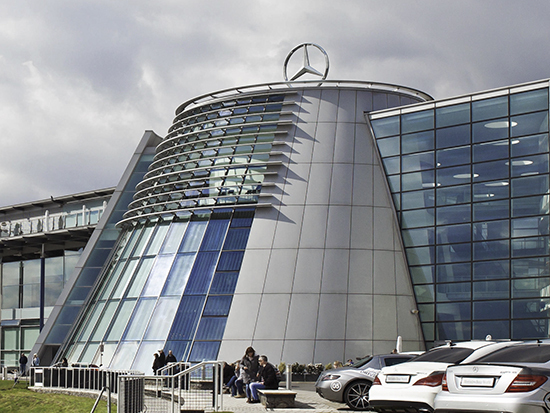 Situated at Brooklands in Surrey, the new Mercedes Headquarters houses a prestigious show room and test facility. It uses 13.5mm toughened laminate glass, which was supplied by Kite Glass. The structure comprises of 13.5mm toughened laminate glass, all supplied by Kite Glass, along with lift shaft glazing and glass balustrades.